Join us on Tuesday, November 28 for Giving Blueday and give for the future! 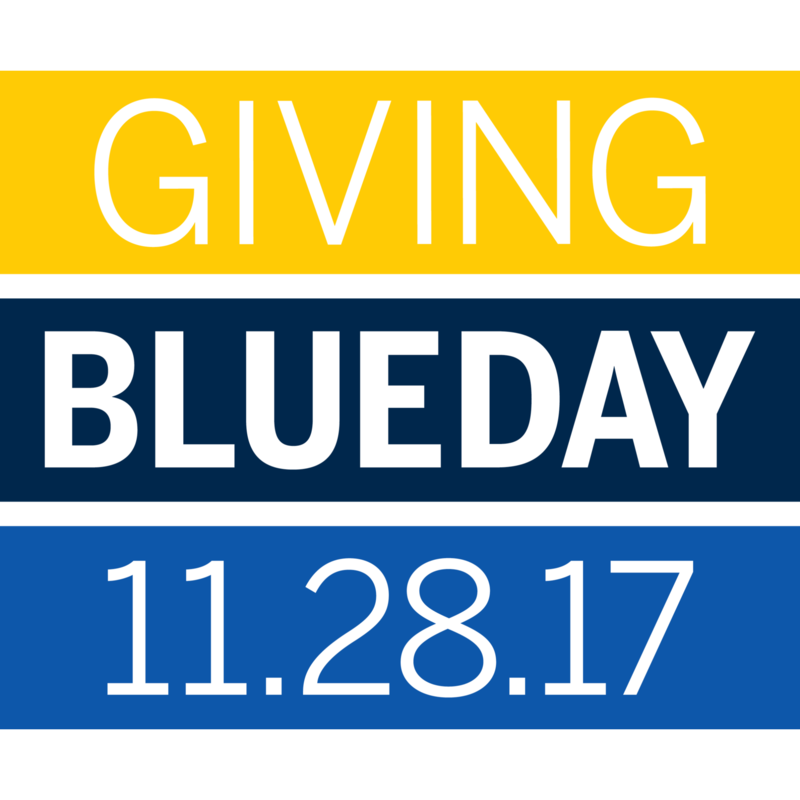 Giving Blueday is the way the entire University of Michigan community -- students, parents, alumni and fans -- can participate in Giving Tuesday, a global day of giving following Thanksgiving weekend. In 24 hours, you can be a victor for Michigan by making a gift to support what you, or the student you love, are most passionate about. Your gift—of any size—will make a difference. This year, we also celebrate 200 years of U-M history and the possibilities for a bright future. As a family member to a U-M student, what will you give for the future on this Giving Blueday? Will it be academics, athletics, medicine? Over 7,000 people participated in last year’s Giving Blueday. A total of $5.5 million was contributed to over 4,000 funds, including to more than 100 student groups. With your help, we can break these records on Giving Blueday 2017. This year, many student organizations will raise funds for causes they are passionate about again. Student organizations can qualify for several hourly challenges throughout the day that would contribute more dollars for their cause. Additionally, matching funds are available for first-time donors to U-M as well as for student donors. Please view the FAQ for more details and learn how you can maximize your giving on 11/28/17. Your gifts will have a significant impact. Past Giving Blueday donors have supported student organizations like Alternative Spring Break by providing scholarship funds to students to complete a service trip! Give for the future this Giving Blueday, November 28, to your favorite U-M cause, including any Student Life area. You can search funds and give online at GivingBlueday.org. You can also help to spread the word by telling your family and friends, and become an M-bassador to leverage your social networks. To get you further excited for this day, please watch this Giving Blueday video.